According to a 2017 report by Singapore’s National Population and Talent Division, Singapore’s population is greying at a faster pace than a decade ago. Citizens aged 65 and above grew 14.4% in 2017, up from 9.4% in 2007. With a fast-growing silver population in Singapore, organisations and government bodies are coming together to cater to this often ignored market segment. Here, we shine a spotlight on some of these heartwarming initiatives that truly reflect Mintel Trend ‘Without a Care’ which discusses how while an aging society puts a strain on resources, consumers and companies alike must come together to shoulder the responsibility. 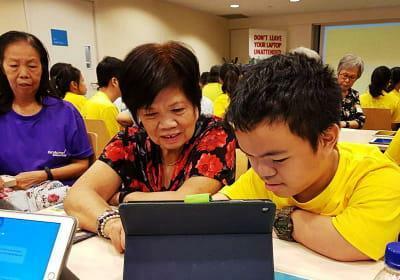 In collaboration with the Infocomm and Media Development Authority in Singapore, the National Library Board launched the Hour of Code programme last year, which uses an interactive game to target seniors. This programme is an hour-long workshop launched across the island of Singapore, providing seniors the opportunity to learn more about coding. Swift Playgrounds is an app provided for the learning session, which is supported by volunteers who are seniors themselves. The app is a game designed to help people learn about coding across varying stages. Entrepreneurial activity, coupled with the government’s push for skills development, has led to a new wave of informal learning taking place across various demographics in Singapore. Brands can look to help seniors gain confidence in re-entering the workforce through unique hiring schemes and training programmes aimed at them. Adopting the use of creative games and sessions that can impart new skills is a great way of helping seniors overcome barriers toward education and learning. Singapore’s Red Cross has launched a chatbot that can communicate with seniors and check their health on a daily basis. 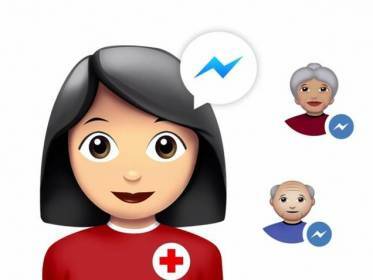 Named Ella, Singapore Red Cross’ first Facebook Messenger chatbot is targeted specifically at seniors living alone in Singapore. The bot messages the community on a daily basis to check on them and act as a reminder to take their medication. If the chatbot encounters a negative response, an automatic email will be sent to the organisation so that volunteers can react. As Singapore’s aging population continues to grow, opportunities to target elderly consumers with assorted products and services will expand. The penetration of smartphones, smart home devices and social networks in Singapore has enabled the country’s seniors to access more help and support than ever before. Brands can leverage the increasingly technology-savvy elderly to find convenient solutions for their daily needs. 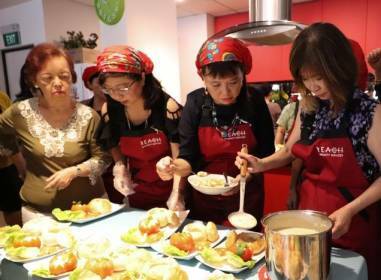 Reach Senior Café is an initiative launched by the Singapore government to integrate seniors who are living in isolation with the rest of the community. The café is completely run by senior volunteers, and offers food and beverages while staff chat with senior citizens who visit. Visitors can choose to pay whatever they wish by donating an amount of money before they leave. Elderly people living in isolation represent a serious issue that our society tends to overlook, leading to deaths caused by accidents where medical services are unable to administer help in time. Technology such as smart home sensors provides one such solution to issues resulting from isolation of the elderly: indeed, the Metropolitan Government in Seoul, South Korea, has backed the use of such sensors in order to keep track of potential deaths occurring within this demographic. As certain parts of the world’s population become older, we will see more services and initiatives targeted at elderly solutions and changing how people perceive age. For reasons both ethical and beneficial toward productivity, a stronger senior workforce can help businesses and governments make progress as a whole, solving the issue of aging populations and reducing the strain on carers across societies.